Learn how we produce reliable SDA hollow bars! Check our SGS test reports and certificates! 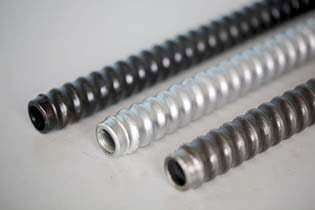 Atlas Copco first introduced Self-Drilling Anchor (SDA Rock Bolt) to China in 1990s. 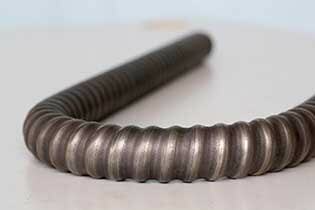 And we are the premier local manufacturer whom brought SDA hollow bars up to market specifications. Now, 25 years have passed, we developed new rolling technology and are changing the situation of fully threaded hollow bar market. More powerful and more competitive. Don’t fear it won’t be appreciated, it stands up well to comparison. 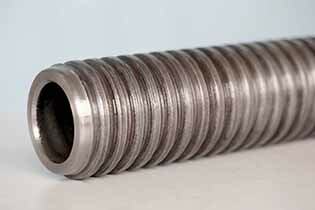 Founded in 1992, ONTON has been the manufacturer in the field of self-drill anchoring systems. With Atlas Copco, Dywidag and Ischebeck's promotion, hollow bar products are currently used in geotechnical applications, underground mining, tunnelling as well as civil engineering. For the last 24 years, ONTON has been producing the Self-Drilling Anchors. 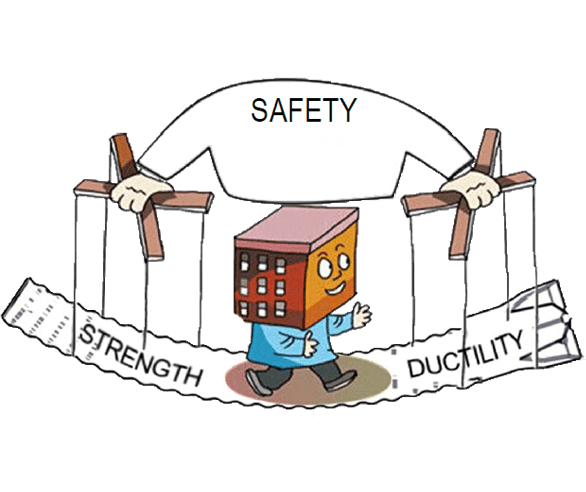 As the first manufacturer of SDA in China, ONTON has also been developing safer and more efficient rock bolt products such as T threaded IBO hollow bar anchors, which are manufactured from a different type of all thread steel rod. ONTON masters the technologies of metal rolling, forging and heat treatment. 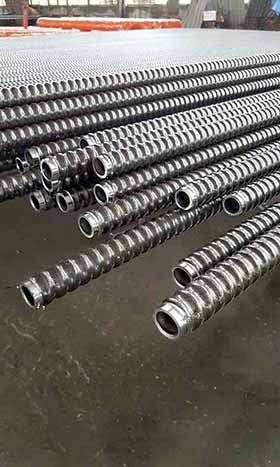 ONTON IBO hollow bar is manufactured from high standards of steel tubing. 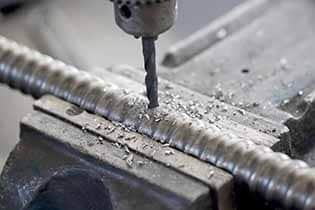 The rolling process refines the grain structure of the steel, increasing the yield strength, and producing a durable drill rod suitable for a rang of applications. Because of our unique metal processing technologies, these hollow bar anchors have high yield strength, good impact strength, high ductility and excellent weld-ability. 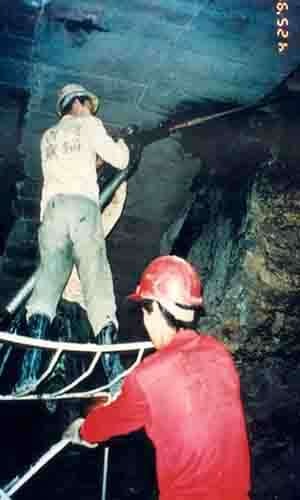 Hollow Bar Anchors are applied in civil engineering, underground mining. Safety comes first. The Quality Assurance of our factory and our production processes are certified by ISO 9001:2008. 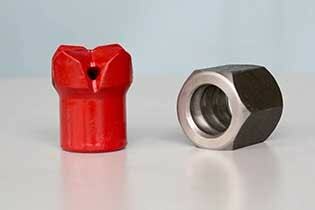 And ONTON rock bolts are rigorously tested to ensure the best possible quality and reliability. The advanced production technology gives a top-quality final product, able to meet and ensure performance, in compliance with the ASTM F432, A615, EN14199 and EN10080. Qualified in accordance with ASTM A615, EN14199 and EN10080. Non-standard hollow bar anchors making. Special ability for OEM orders. Rolling, forging and heat treatment to release the energy of metal crystal. Strength improved, and cost saved. 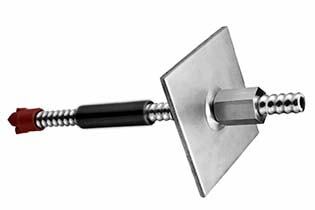 ONTON IBO hollow bar anchors can absorb more fracture energy than others. ONTON SDA is always preferred after comparison.